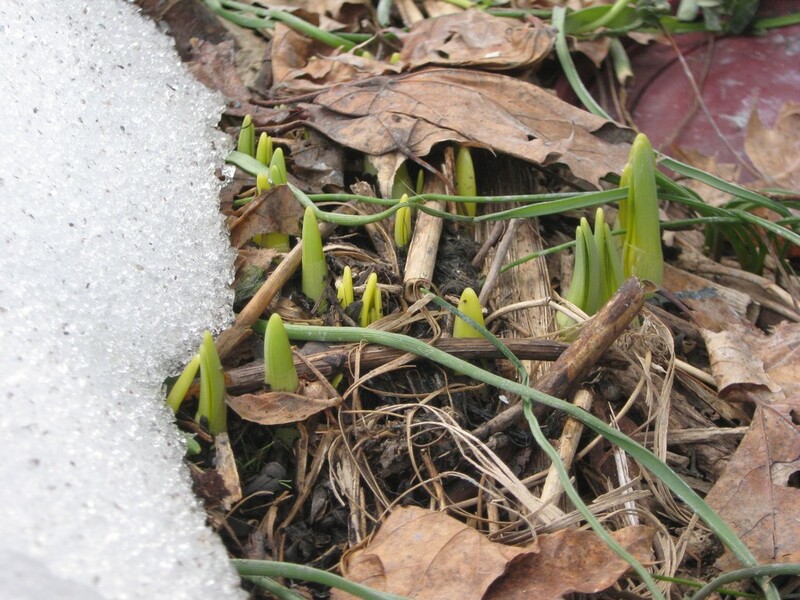 The snow recedes and reveals shoots. Little green shoots that might be crocus or snowdrops or maybe even daffodils. Things are pretty intermingled in there. Could be all three. Or could be I’m getting my hopes up.